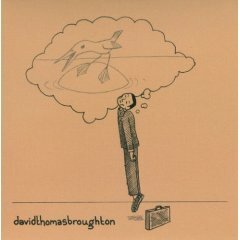 Art-folk artist David Thomas Broughton has always been forthright about self-loathing (I mean, his 2005 debut is called The Complete Guide to Insufficiency) but because so often he was plumbing that dark emotional mine by his, his guitar’s, and his loop pedal’s lonesome, even his best efforts to balance and leaven that sort of a load didn’t always succeed. The responsibility both to brighten and to anchor a song often fell to his voice, a keening and sometimes tremulous tenor. 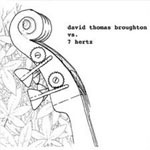 David Thomas Broughton vs. 7 Hertz (2007) was quite the expansion of sound and a fabulous record in its own right, but if I could offer any criticism it’d be that the collaboration didn’t quite challenge Broughton enough, 7 Hertz essentially functioning to give the songwriter’s esoteric folk musings a big chamber-rock canvas, like the Kronos Quartet to Broughton’s Clint Mansell. In the end the pairing was mostly about adding great accompaniment—not exactly a paradigm for change and substantial growth. It was a good thing, then, that Broughton laid off the self-loathing with that record; in such a dense and arranged context lines like “I’m gonna drink until I stink / such is the nature of a drunk” would have weighed too heavy. So it’s true that there’s a return to self-loathing with Outbreeding (the above quote taken from “Nature”) but Broughton’s smartly pushed himself beyond the strictures of his former craft and opened up the doors to things like, well, other instruments (drums?! ), varying levels of intensity, pronounced changes in tempo and tone between tracks, and a general lightheartedness that makes the sardonic bluster more palatable. Thus, the self-loathing present on Outbreeding is magnanimous, wry, not a bit overwrought, always charming, never wallowing. “Nature” has a tinge of the tragic come through amidst its furtive rhythm but its lyrical conceit (another sample: “I’m gonna charge through this china shop / such is the nature of a bull”) is amusing while the music simmers. Broughton seems keenly aware of just the right ways to poke fun at, deprecate, and even abase himself without losing a depth and breadth of feeling that can swallow his listeners whole, even as they chuckle—or, vice versa, chuckle even as they wholly relate. Lyrically a pitifully laughable but still heartbreaking attempt at using potential genetic harmony to prolong a relationship, centerpiece “Potential of Our Progeny” is the most direct carrier of the Outbreeding title theme and most resembles in form if not method (belied by piano chords and a stately low-end) Broughton’s earlier work. However, sonically, its loose sprawl and that of the perhaps too aptly titled “Onwards We Trudge” doesn’t quite grip the way Broughton’s best long-form tracks used to. It’s too nebulous to write about how one finds a certain chord progression or guitar line more affecting than others, but maybe that’s all it is for me. 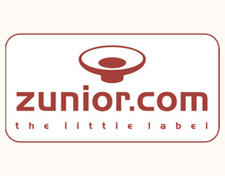 However, both tracks are very adeptly produced and, strangely, that could be the rub: a track like “The Weight of My Love” off vs. 7 Hertz or anything off his debut or even the stunning cover of “The Greatest” that Broughton did for our 2006 Fantasy Podcast has a magnetism in its contrast of roughshod and ramshackle yet sweeping, beauteous. Here, by the fifth minute of layered pile-ups of polished sound, I’ve ceased to strain my ears for the arresting details. And I swear I’m not some lo-fi purist; sonic sediment and frayed edges just really work for dude’s epic tracks. It’s not a deal-breaker for Outbreeding, though, because the shorter tracks—or, at least, less epic ones—find Broughton exploring templates new to his oeuvre. It may exceed six minutes but “Apologies” works a standard three-part ballad structure with an acoustic figure, canned beat, organ wheezes, and almost random vibes to ravishing effect. The old-timey vocal clip lazily manipulated in “Electricity” (like “Perfect Louse” and “Ain’t Got No Sole,” a carry-over from last year’s Boating Disasters EP [but much improved here]) is out of place enough in the scheme of Broughton’s established style to make me question whether the track started off as a cover of the Avalanches’ song of the same name. But it’s to Broughton’s massive credit that he makes so many of these new tricks work; if you had told me that a two-minute pseudo-punk track called “Joke” would be more than simply a joke for a folk-freak like Broughton, I would have laughed at the joke. Indeed, “Joke” is probably the most successful track in the record’s erratic second half (the pacing and lopsided swing of Outbreeding‘s tail-end is truly a challenge for the dedicated “Album” listener), aside from maybe the closer, a mesmerizing live revisit of opener “River Lay.” But that first stretch of songs through to the mid-point bulk of “Progeny,” I’m telling you, should not be underestimated. In particular, “River Lay,” “Apologies,” and “Nature” are three of the best songs Broughton has put to tape at the same time that they represent a significant broadening of his palette and his techniques. These are full-band arrangements that sound like the ideal translation of what Broughton was doing before into an experience that sacrifices just a little intimacy for much more generosity in sound, tone, and rhythm. While Broughton may still be hard on himself he makes that integral to his art and, not only that, on Outbreeding he elevates it beyond lip service by showing us how hard he’s working to be better. His latest record is not without its flaws, but the direction it shows only gives hope that those very flaws will be the impetus by which Broughton reaches higher heights; as Broughton learns to understand and in some ways accept his nature on this record, he draws ever nearer to grace. It’s an arc not unlike that of the main character in Malick’s most recent masterpiece, The Tree of Life, and while I feel like Broughton’s first masterpiece is yet to come, you get the sense that it can’t be too far off. Indeed, it’s probably closer than even Broughton himself could realize.